This week, instead of digging into a good number of different subjects, I decided to just focus on a few players this time around. I’m going to be starting some “End of Year” and “2018 Postseason/2019” themed writings next week. For now though, we’ll go into outlooks. At the beginning of the year, Outlooks are more about trying to find players that I have a chance to “clue people in on” so to speak. Players I believe are being grossly forgotten about. That player is a bit harder to find in August, and needs to fit a particular profile if we expect them to make a big impact in the last 6 Weeks. These Outlooks are more about just defining a player. We know Hicks has had a good year, but how good is he now? What should our expectations be? And is there anyway to predict the roller coaster that is Sean Newcomb? An outfielder for the New York Yankees who showcases 5-category ability, Aaron Hicks is not someone underowned, or readily available at this point. But is he appropriate valued? What is a realistic expectation in a season’s worth of PT? In his last two partial seasons (2017 and 2018), Aaron Hicks has posted 35 HRs and 19 SBs in 791 PAs and a .258 BA. If you would reduce that to closer to 600-650 PAs, you’d be looking at about 27-29 HRs and 14-16 SBs. The Home Run numbers are certainly unlikely to replicate. But even in Hick’s previous two-year sample (2015-2016), which was a similar 751 PAs, Hicks managed a solid 15-17 HRs and 12-14 SBs overly a similarly adjusted 600-650 PAs. Whether or not we’re projecting Hicks for full-time playing time or not next year, right now Hicks appears to be playing every day. And based on not just the last two years, but averaging that out with the last four years, I’m inclined to buy into Hicks hitting 20+ HRs and stealing 15+ bases in a full-season sample. In terms of his BA, Hicks does possess a general threat of repeating his 2014 and 2016 BAs (.215 and .217). But three of the past four seasons he has been serviceable for the numbers you expect him to produce in the other four categories (.256, .266, .251). Hicks doesn’t hit for a very high BABIP. From his batted ball profile this appears to be an issue of pulling the ball. But he does hit it hard, and he does get infield hits at a modest rate due to his decent foot speed. My projection for a BABIP and BA for Hicks would likely put him around the .255 Range, bringing his total projected line to something close to .255 / 20 / 10 give or take. While I don’t know how much it affects the overall line of Aaron Hicks, I do believe there’s a bit of telling data in his career pitch specific performance that explains why he’s done so well this year. Hicks’ career numbers on breaking pitches are pretty darn awful. In his career, including 2018, Hicks has a .267 SLG v. Curves and a .267 SLG v. Sliders— very bad numbers, with 168 Ks in 363 recorded ABs. After failing to do anything with Curves in 2016, Hicks made modest improvements into 2017 (.355 SLG) and has improved substantially this year, particularly in the power department. Hicks’ 3 HRs and 5 XBHs against Curves have carried that particular metric all the way to a .600 SLG v. Curves, which would obviously be turning a weakness into a strong positive. Maybe he just happened to catch 3 very poor Curves. But at least that bit is encouraging. On Sliders however, Hicks has continued to struggle. On the 2018 Season, Hicks has a .167 BA and .191 SLG against Sliders with 21 Ks in 42 ABs. This weakness likely won’t crush him, but will at the least serve as a tasty DFS note to avoid playing Aaron Hicks against pitchers who over-utilize a good slider. Verdict: There’s some gaps and some flaws with Aaron Hicks still, and I see him maintaining himself in a part-time role moving forward. That said, the Power/Speed is still substantial, and while he is getting full PT he is a BUY/HOLD in most leagues as a .255/20/10 type player. This will obviously be a bit of a thinner take. There’s not as much to say as someone who mostly scouts at the MLB level for a player who has just 36 PAs. But as a player who also has quite the opportunity on a losing team, I think it’s worthwhile to take a look at Mullins and see what we may be able to determine right now in terms of 5×5 value. There’s quite a bit to like about Mullins. He may not be a high tier prospect, but he isn’t completely unheralded. Rather quickly I found him mentioned in a “Fringe Five” with some intriguing qualities mentioned by author Carson Cistulli. He is referred to as a rare speedy fringe player, who “has posted the third-highest speed score among 184 hitters in the International League with 100-plus plate appearances.” Mullins has also been walking, hitting for average, and putting a little pop in his game. For me at least, the first type of player who is going to intrigue you is the type of player who offers all around benefit. With 6 HRs and 12 SBs in less than 300 PAs, Mullins profiles as a player who could make an immediate speed impact and have the chance of chipping in power as well. The second thing I look for often in a player and what is perhaps the most important is that he can convince me that they can succeed and succeed consistently at the big league level. While Mullins hasn’t been around long enough to convince me of that, he displays the skills enough me to say that he does quite a few of the key things I like to see from young players to convince me they have bright futures. Mullins posted a minor-league career high 8.2 BB% in 2018. THis is an extremely limited sample, but his first 4 BBs in 36 PAs gives me optimism about his eye. And those 4 BBs (11.1%) are matched with only 5 Ks (13.9%). His early SwStr% of 6.1% is encouraging. He’s making good contact and swinging when he should. And while he isn’t making much hard contact, there’s a good basis here for good coaches to work with. Verdict: I’m not running out to get Mullins in any shallow league unless I really believe in his ability for Speed, but I do believe he’s a player that could be a surprising 5-Category Value as soon as next year, if given the opportunity. While he doesn’t quite deserve the bad rap that I believe a Vincent Velaquez deserves for being unpredictable, the Minesweeper analogy I used a few weeks back holds true here: my consistent knock on Sean Newcomb has always been that his bad outings are unpredictable. He is more likely to beat himself than to lose to another team. So, becomes his own worst enemy–and unpredictable blowouts can occur almost at random. In Minesweeper it doesn’t matter how many mines you tag— if you click the mine they all go off and you lose. Catching those starts is often how I feel with Newcomb. That said, for quite a few stretches this year Newcomb has appeared to have taken the next step forward. For a two month stretch between the start of May and the end of June, he surrendered more than 3 ERs only once (11 GS). He gave up 10 ERs in his following 6.1 IP. After finding his form again for the following 4 GS, Newcomb once again reinflated his ERA with 12 ERs in his past 11.1 IP. To some extent, this might just be Sean Newcomb. You’ll always have to stress every game, and hope that the roto numbers by the end of the season will just bail you out. Even when I look through his Pitch-By-Pitch information, I can’t find too much to help me out. For example, his biggest problem right now from a pitch stand point seems to be the Curveball, with a whopping 1.200 SLG Allowed in August. But that Curve has also been his best and most consistent pitch throughout the year. His Change has had a couple similar spikes. But as a whole, all of his pitches have performed pretty exceptionally. His Change is his “worst” offering and sports a .422 SLG allowed. His aforementioned Curve sits at a pretty .193 SLG allowed. Verdict: I don’t know if I have any more to say on Newcomb. Players like this simply develop consistency a bit or they don’t, and for me in this case, the only way I can believe in the development of consistency is by actually seeing consistency. As much as I tried when I first started looking through Newcomb, I can’t find a smoking gun for a hint as to when he’s going to succeed or fail. It ultimately just comes down to his own execution. Just looking in on what Villar has been doing with Baltimore— which is essentially give Orioles fans reason to believe they just traded Schoop for an at-worst similarly valued player and more. Villar had the sought after ESPN-dubbed “Combo Meal” recently with a HR and a SB in the same game, and is now .271 with 3 HRs and 2 SBs in his first 15 Games with the Orioles. While I don’t believe Villar recaptures the glory of 2016, he is a player who has still managed to show Speed and Power. I’m optimistic by the few walks he’s taken with the Orioles. And as mentioned a few weeks ago when Villar was first traded, while his performance certainly does not get a pass for his fantasy production over the last two seasons, Villar’s injuries and lack of PT have been just as much to blame. If Villar manages to finish even at .250 with his level of HR/SB he will be a fantasy viable player again. He is definitely a player I’m already eyeing for Redraft 2019 if it looks like he has a decent shot at 150+ Games. Just the Outlooks for this week. Will try to do something a bit more in tune with Season’s End next week. Major League Fantasy Baseball Radio Show: Join host Cole Freel and Kyle Amore live on Sunday August 19th, 2018 from 8-9:30pm EST for episode #133 of Major League Fantasy Baseball Radio. We are a live broadcast that will take callers at 323-870-4395. Press 1 to speak with the host. We will discuss the latest information in the world of fantasy baseball. 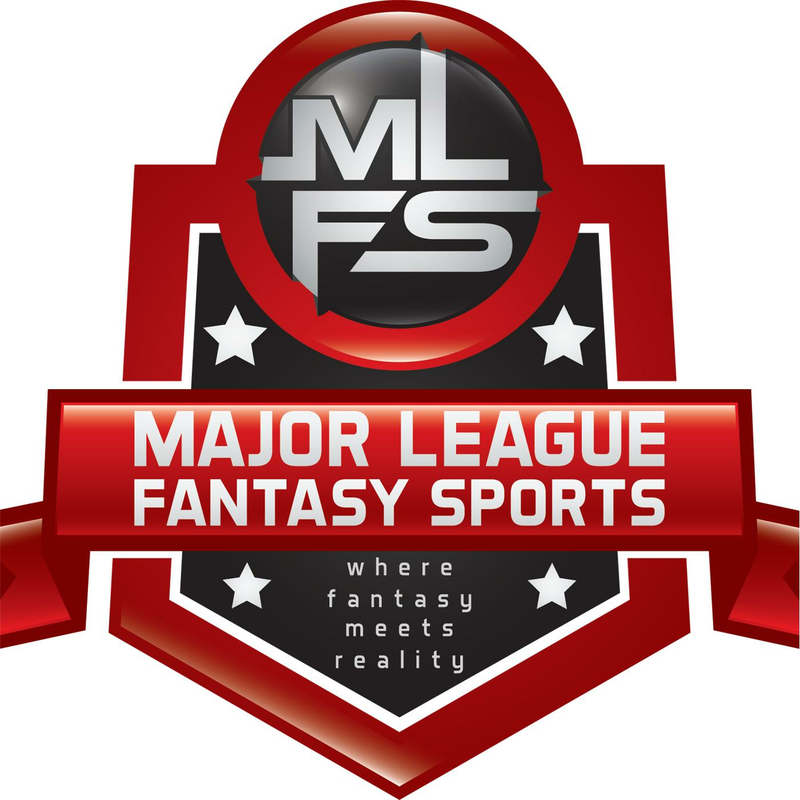 Major League Fantasy Football Radio Show: Join host Corey D Roberts live August 16th, 2018 from 8-9:30pm EST for episode #89 of Major League Fantasy Football Radio. Call in number is 323-870-4395 press 1 to speak with the host. This week we will take a close look at some possible ADP steals in our drafts this season. My guest this week is Andy Macuga. He is the former Head Football and Baseball Coach for Borrego Springs H.S. out in the San Diego area. Andy is also a 6 year veteran of Major League Fantasy Sports leagues and a frequent radio guest.